The software company AMAGNO GmbH & Co KG, a provider of its Digital Workplace and document management software AMAGNO, located in Lower Saxony, is still in a strong growth phase. AMAGNO currently has more than 20,000 users in its business cloud and more than 200 companies in its on-premise solution. As early as 2015, AMAGNO was considered one of the strongest growing digital companies in Germany as part of a renowned growth ranking according to EY (Ernst & Young). The basis for this is the company’s rapid growth, with sales almost doubling per fiscal year. AMAGNO expects even higher growth for the financial year 2017, as the sales figures of the previous year were already achieved in the first half of this year. “The media presence of the term “digitization” finally promotes awareness in companies to build up digitization at all levels of the company. Some federal states such as Bavaria and Baden-Württemberg even have special digitization subsidies for small and medium-sized businesses available. This is also necessary because digitisation has not really arrived here yet. The willingness to invest has not been given so far. Now companies are responding and recognizing the urgent need for a document management and enterprise content management solution. With the AMAGNO Digital Workplace, we are delivering the right solution at the right time,” says Jens Büscher, CEO of AMAGNO GmbH & Co KG. At the beginning of the year, planning for the relocation to new office floors in Oldenburg, Lower Saxony, had already begun and has now been completed. Due to the order situation, AMAGNO is allowed to double its personnel in all areas in order to keep up with the proximity to customers and the direct customer approach as well as the fast and successful project implementation. An unplanned extension of the office space is also again necessary. Within the framework of its corporate philosophy, AMAGNO pursues a shared, personal working environment in agile teams on site instead of in decentralized offices or in the home office. 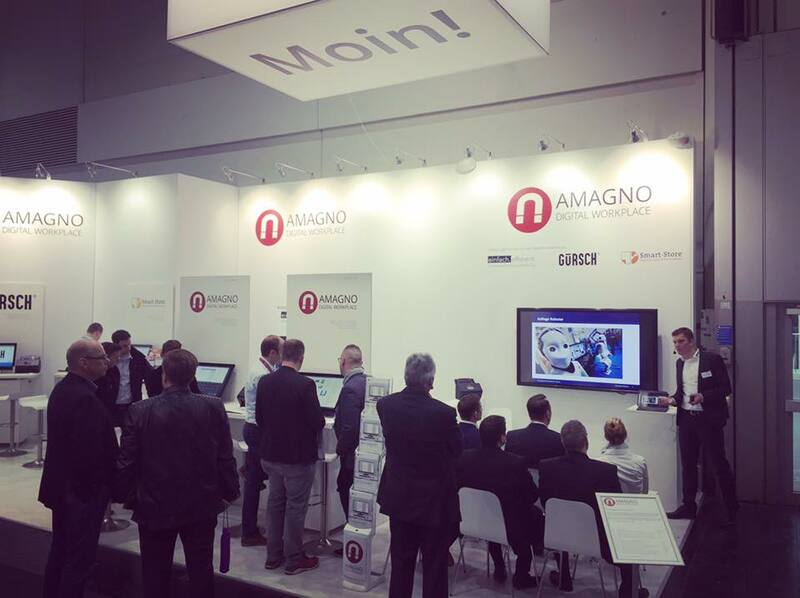 AMAGNO convinces in the presentations with a high live portion of the product and makes the added value and positive effects of a digital workstation directly accessible to employees and decision-makers. The software is then quickly put into operation and can be adapted by the employees themselves to the company’s needs, e. g. workflows. This also hits the nerve of partners and consultants, as they no longer have to offer complex, module-based solutions. Sales opportunities are correspondingly high. For these reasons, AMAGNO has also doubled the number of qualified partners and further expanded its network. The AMAGNO 5 version, which is about to be released, offers extensive functions with a focus on “Document Experience” and “Document Automation”. This should considerably improve the daily work in document-centric companies for the employees. AMAGNO with its AMAGNO Living Documents (TM) technology puts the experience of working with digital documents in the foreground. This revolutionizes the use of any digital file formats and documents from any source. By clicking on terms in the preview graphics, employees can intuitively browse through their documents, as if they were browsing the Internet in a browser.